Compeed Soft-Corns is composed of a supple and almost invisible fel, for more comfort. - It protects from friction and pressures. - It hydrates deeply and softents the horn to remove it gently but effectively. Hexagonal shape adapted to the toes, autoadhesive, absorbing, comfortable, fine, hypoallergenic, ermeable to water vapor, waterproof, impermeable to bacteria. Immediately relieves pain, promotes healing by moisturizing the skin. Dimensions : 2,2 cm x 2,2 cm. After application, keep the palm of the hand applied to the dressing for about 1 minute for a good grip. Wait until the dressing comes off for renewal. Indication: Protection and treatment of soft-corns. 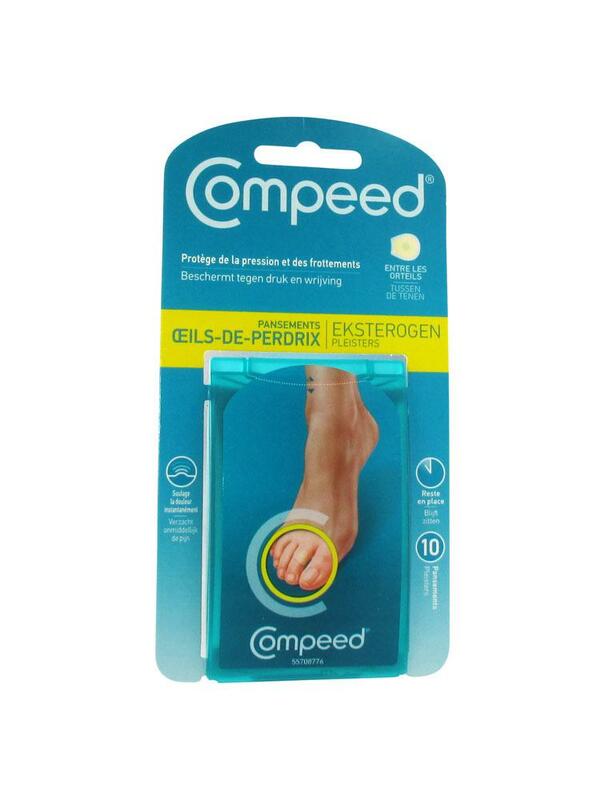 would recommend - inbetween toe use.